Carex Deluxe Vinyl Padded Bathtub Transfer Bench has deluxe padding that provides a comfortable bath. The padded seat and back are made of thick vinyl that resists tearing. 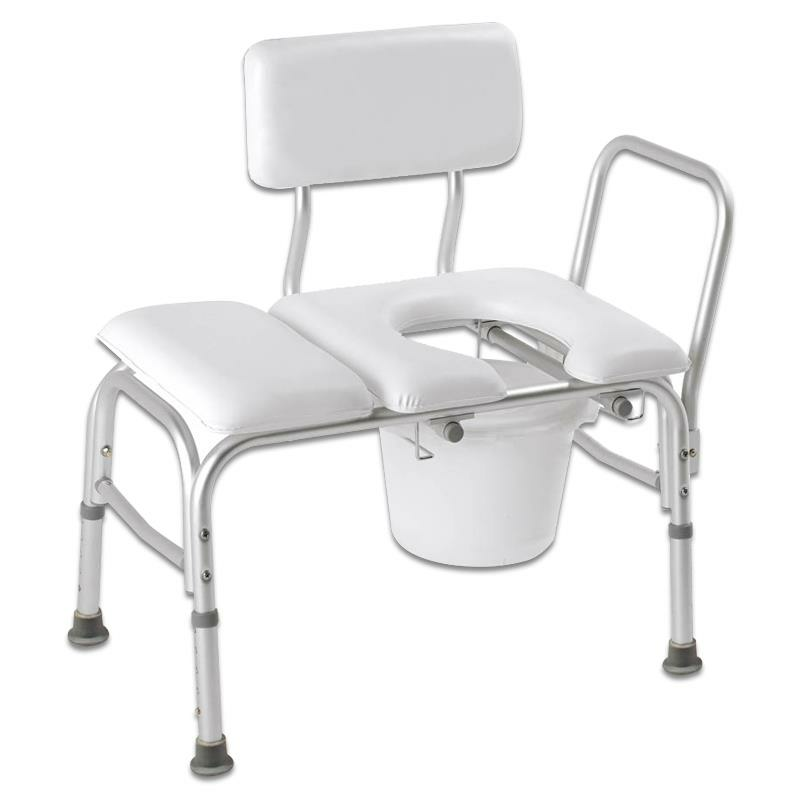 The seat height is adjustable and the convenient side rail provides support for easy transfer. Comes standard with oversized tips for a more secure, slip-resistant bench.